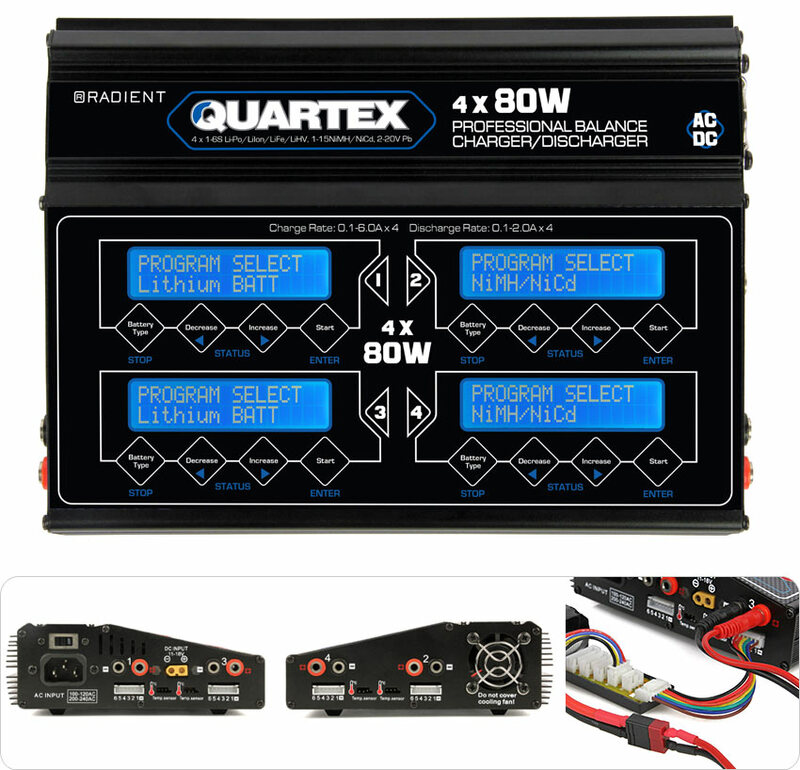 The Radient Quartex Multi-Chemistry professional charger / discharger offers a simple and safe solution to battery management. 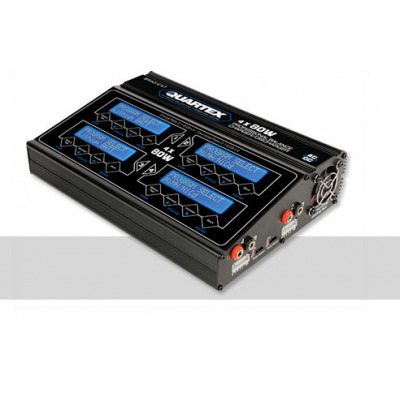 With four outputs, up to four batteries can be independently charged at the same time, using completely separate charge or discharge routines. 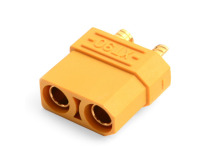 With a choice of mains power or 11-15V DC input, the Quartex is ideal for use at home or at the field. The four backlit LCD screens make it simple to select all of your charge parameters while also monitoring your battery’s status in any light. 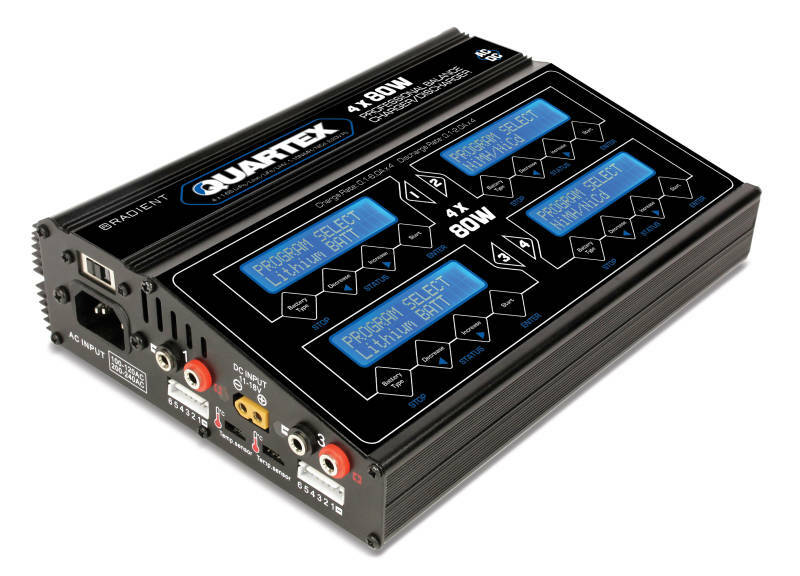 Compatible with today’s latest cell technologies, the Quartex is the serious choice for charging LiPo, LiHV, LiIon, LiFe, NiMH, NiCd and Pb batteries. 1-15 cells NiCd / NiMH x 4. 1-6S LiPo / LiHV / LiIon / LiFe x 4. 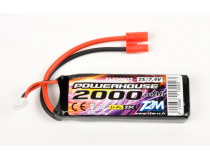 2-20V lead-acid (Pb) x 4. Blue backlit LCD (2 x 16) x 4. 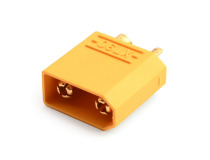 0.1-6.0A charge rate in 0.1A increments. 0.1-2.0A discharge rate in 0.1A increments. Cell balance with 0.01V tolerance. 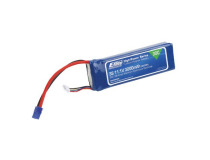 Automatic charge>discharge cycle to condition NiCd / NiMH batteries. Recall data for up to twenty batteries. Lithium battery auto charge functionality. 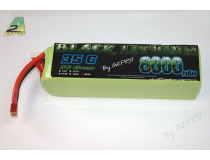 Lithium battery balance, fast and storage charge modes. Thermal monitoring (with optional sensor). 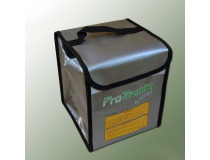 Built in balancers with four XH style balance boards supplied. AC or DC input power. 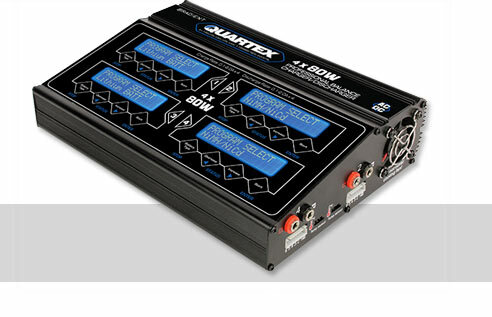 1 x Quartex multi-function battery charger. 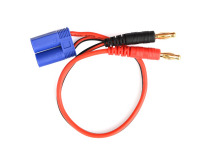 1 x Mains power lead. 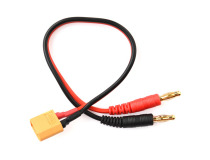 1 x XT60 external power lead with 4mm bullet connectors. 2 x Crocodile clips, each with 4mm bullet socket. 4 x External balance boards. 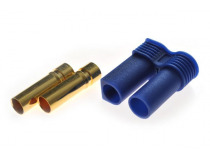 4 x HCT charge leads with 4mm bullet connectors.